Thinking of heading to one of South America’s most intriguing nations? Then there’s a chance you’ll pass through one of its two capitals. If you’re lucky enough to land in the administrative capital of La Paz, you’ll need to prepare yourself for an assault on the senses. Here are some tips and pointers for not just getting through some of trickier bits the city - but enjoying them, too. 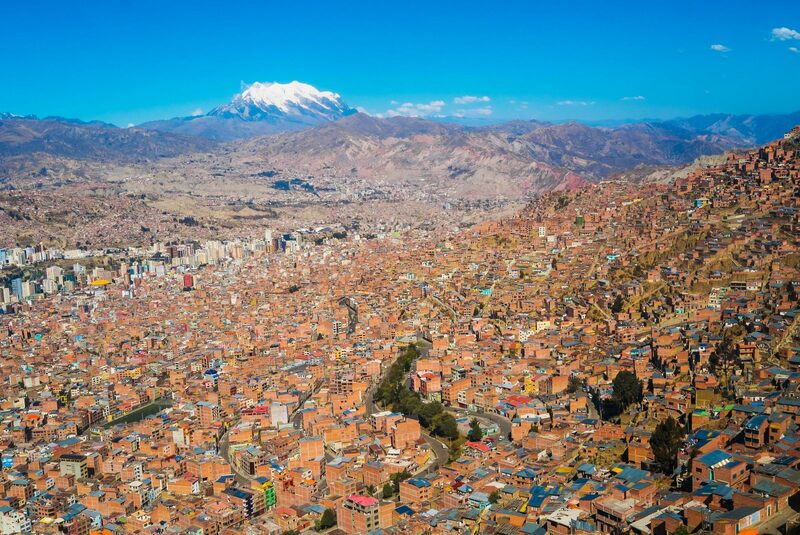 The number one complaint travelers have when they first arrive in La Paz is the altitude. At nearly 12,000ft above sea level, La Paz is the highest capital in the world - and you can certainly feel that when you arrive. Almost everyone will be hit in some way by the altitude if they’re not accustomed to it but breathlessness, migraines and nausea shouldn’t ruin your trip if you take some care. Don’t try to do too much when you first arrive and give yourself time to recuperate in your hostel or hotel. Take it slow and don’t try and see everything straight away. 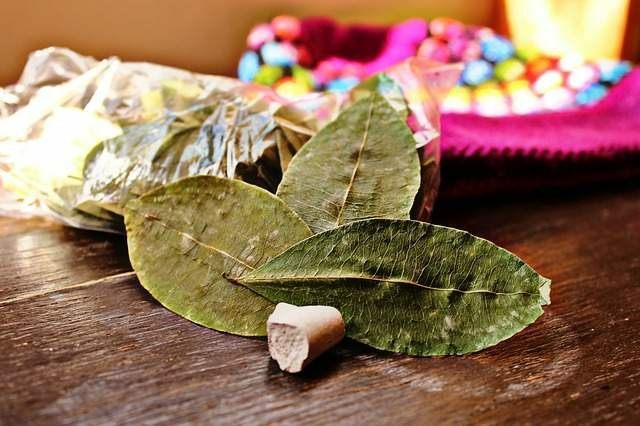 Drinking plenty of water is also a must but maté de coca, a tea made from coca leaves, is also an effective remedy. It’s best to avoid booze too early on - and smoking, as well. If it gets really bad, chemists have Soroche pills but, hopefully, you should feel fine after a couple of days of acclimatization. Not many Bolivians speak English so it would be a good idea to get some basic Spanish under your belt - if you don’t have it already - to make your trip that little bit easier. Fortunately, Bolivians speak a very clear Spanish, compared with some other Latin America nations, so you won’t be dealing with too many tricky accents. And conversing with locals is highly recommended, as most Bolivians are extremely friendly and open to meeting travelers. The city has some very affordable Spanish schools so they can be a good bet if you plan to stay in the city for an extended period of time. One of the quirkier gems of the city is what’s for sale. Markets are scattered all over the city and you’ll stumble across some really cool - if not creepy - goods. The city’s Witches’ Market, located on Cerro Cumbre, is particularly fascinating. 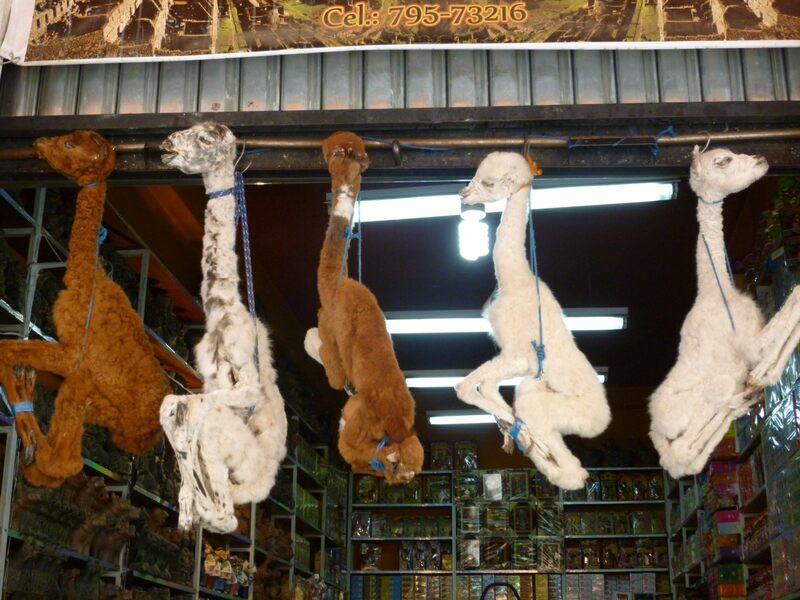 Dried frogs and llama fetuses; good luck charms; intricate stone figures; technicolor ponchos and bags can are just a sampling of what the market has on offer. 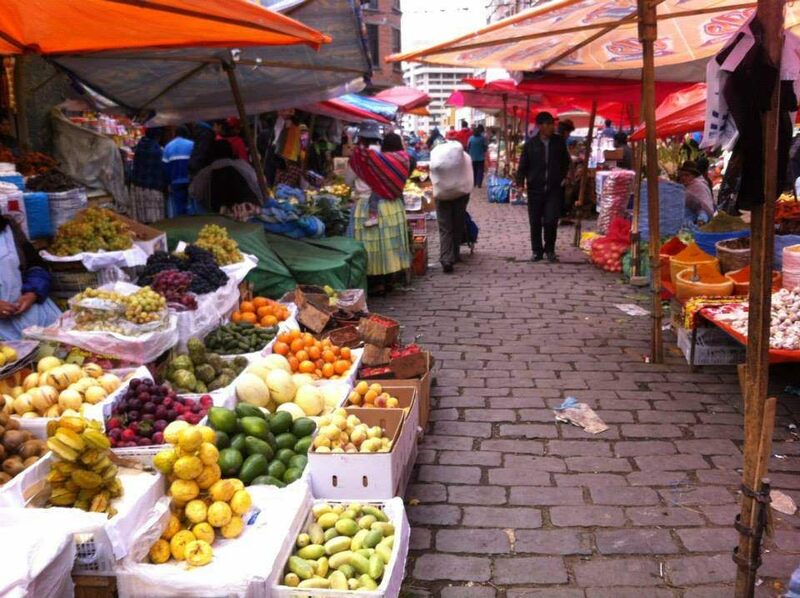 Markets can also be found elsewhere in the city and just about everything can be found there. You can often knock the price down as well - so smile, bid low, and with a bit of perseverance, you’ll get there. If you have traveled in other parts of Bolivia, you know that finding accommodation can sometimes be tough. But you will be pleasantly surprised to find there’s a wealth of choice when it comes to where to stay in La Paz, with AirBnBs, hostels and upscale hotels all up for grabs. Hostels can be a great option for backpackers on a budget and a very good way to meet fellow travelers. La Paz has a huge number of rowdy - but fun - hostels like the Loki or Wild Rover chain, but also more chilled options, such as Arthy’s Guesthouse. Airbnbs have surged in popularity in the city as of late, with anything from downtown penthouses and studio apartments to flat shares with other Bolivians and entire houses. And La Paz has hotels galore, often at very affordable prices. Another strange thing you’re likely to find for sale on the markets - or in hostels, even - are coca leaves. Because of their relation to cocaine, some travelers think they’re illicit. But they are viewed very differently in Bolivia than in other parts of the world, as they have been chewed for thousands of years by the indigenous people of the Andes. They are still very popular among Bolivians and are readily available for legal consumption. The leaves from the coca crop can reduce hunger, are mildly stimulating, like coffee, and contain nutrients. Bolivian food isn’t something that immediately pops to mind when you’re thinking of fine dining in South America, it’s true. 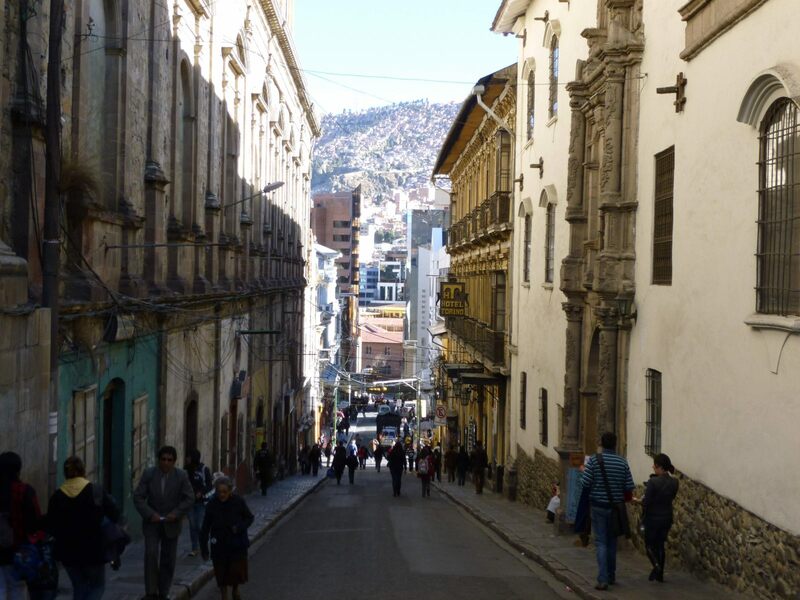 Though Bolivia, and La Paz, has lots to offer in terms of good food and drink. The staples of Bolivian food are usually rice, beans and meat. But plenty of fusion restaurants are cropping up in the city and it’s easy now to find pretty much any cuisine you want. And when it comes to booze, you’re in for a treat. Bolivians love beer, and alongside generic lagers, you’re likely to find quinoa beer, which is super tasty. Plenty of bars will serve the Bolivian chicha (that is, indigenous beer). Wine is popular, too, with local vineyards unexpectedly producing some really top quality stuff. 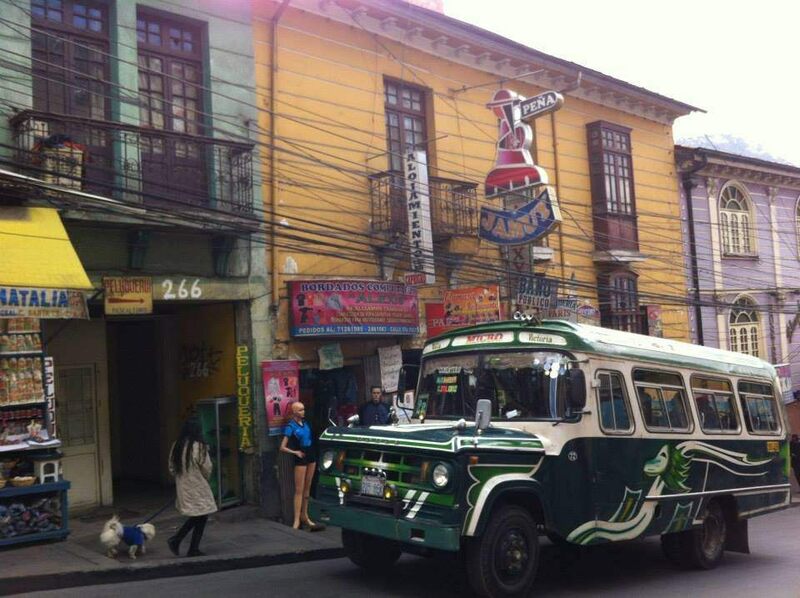 The public transport in La Paz may not be as user-friendly as, say, in New York, or even Santiago de Chile, but it does have a reliable bus network that will get you to where you need to go. Plenty of microbuses dart around the city and display their destination on the windshield. Usually, you can wave them down anywhere, and don't have to go to a designated bus stop. Shared Trufis - slightly bigger minibuses - are also very economical and have set routes. They’re the best bet for getting to tourist attractions outside of town. And taxis are also pretty good. But be careful to get in marked taxis with the telephone numbers advertised on them (express kidnappings can happen) or, to be even safer, use the Easy Taxi app. Unfortunately, drugs are something many travelers are likely to come across, be it in the street or one of the city’s many raucous clubs. Taking drugs in La Paz - cocaine especially - funds a horrific trade and the police here won’t go easy on tourists, so best to turn down any offers.